I had a request for my Spicy Mango Salsa but when I went to the store the mangos we are hard. No ripe ones to be found. So I decided to switch it up a bit and make a peach salsa instead. I was surprised how well it came out really. As soon as it sat for a hour in the fridge I grabbed a chip with some salsa and took it up to Seth for him to try it. I was lucky to bring back fingers and he followed me right back down the stairs like a bloodhound hot on the scent! When Kevin came home he looked a bit doubtful when I mentioned it had peaches in it. I know you are saying to yourself how in the world could anybody doubt me, I was thinking the same thing, great minds think alike! But once he tasted it his doubts went away. Even Jessi, who doesn’t really like spicy things, liked it. She did mention that I could have left the peaches in a bigger dice, so I will take that under advice and give it a shot next time. I wish I had taken pictures as I went but no one was here to help me. I really need to try and cook more with people around, either that or grow a second set of hands. 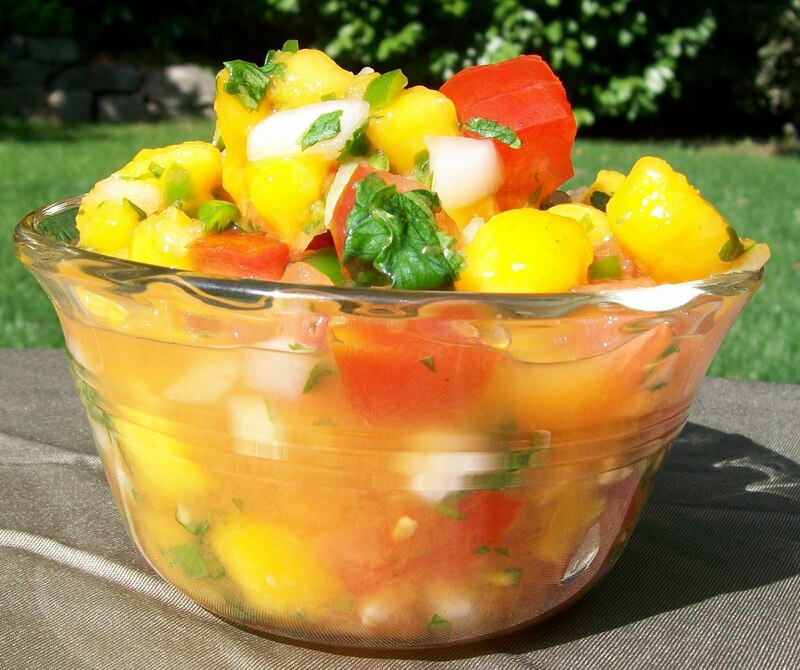 In a medium bowl, stir together the tomatoes, onion, chilies, peaches, garlic, lime juice, and cilantro. Add salt to taste. Cover and refrigerate for one hour so the flavors can meld. Last week I was flipping through the pages of my Everyday with Rachael Ray magazine looking for ideas for this weeks recipes. I knew I wanted to find some seasonal things to cook since summer is almost over. I wanted to find a way to hold on to it as long as possible. So there I was flip……flip….flip…..TADA!! This recipe screamed at me MAKE ME MAKE ME, and my response was HECK YA! Some people talk to their pets, I evidently talk to food magazines. OK OK yes I talk to my pets too. Hey you have to find conversations wherever you can when you live in a very small town. Ya, I know, You are right, I am just weird *sigh*. Anyway, off of my mental health issues and back to the food, this recipe calls for shrimp which I LOVE. I have wanted to try making lobster rolls but with lobster being soooo expensive, and this girl trying to cook on a budget, shrimp was right up my alley. What a nice surprise it was when I went to the store and the shrimp was on sale! I hadn’t really shared my recipe plan with anyone here this week, so when I started to prepare this dish and the shrimp came out I had everyone’s attention. Well, not my Dad, but Kevin and Seth were both hanging over my shoulder to see what I was making. Seth’s response was OMG I am so excited! Kevin was intrigued but a little hesitant because he is not a big fan of pesto and this recipe calls for 1/4 of pesto. That made me a bit uneasy but the picture just looked so incredibly yummy it didn’t give me much pause to think. I will tell you that this is the perfect meal for a warm summer day. They are cool and creamy and so tasty. Kevin ate three rolls himself! I guess he decided pesto wasn’t so bad after all. I think these are so pretty with all the summer colors in them. 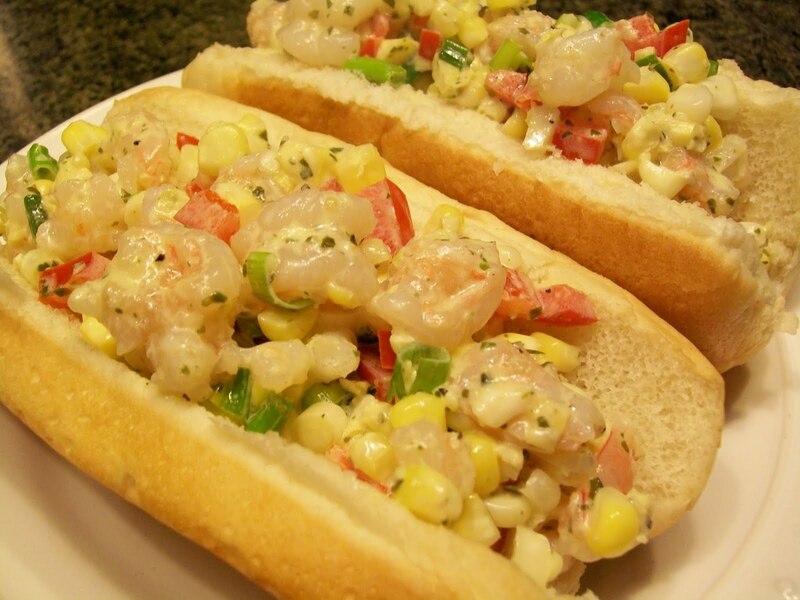 The corn takes on a bit of shrimp flavor because you throw it in with the shrimp right as it is done cooking, and the green onions and red bell pepper give the rolls just enough crunch. I am telling you that before summer is over you HAVE to try these! 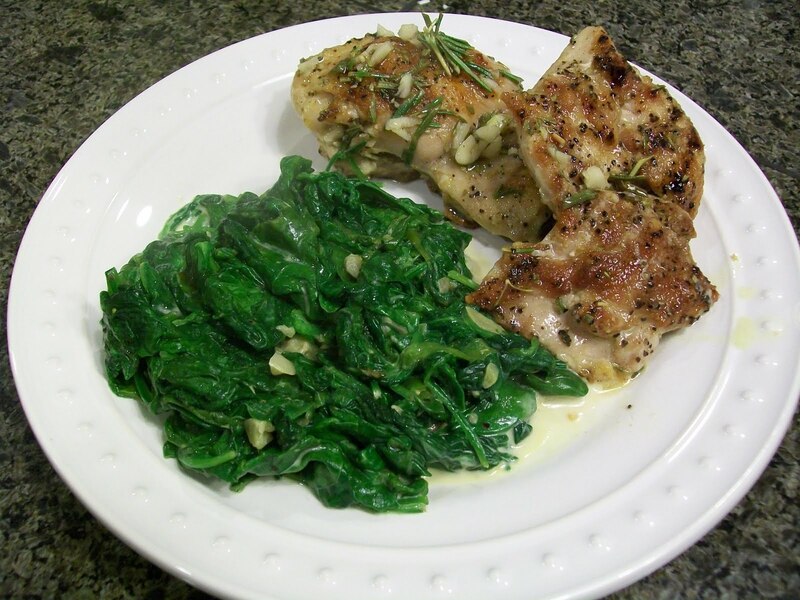 In a medium skillet, heat the olive oil over medium-high heat. Add the shrimp and cook, stirring, until opaque, about 3 minutes. Remove from the heat, stir in the corn. and let cool. 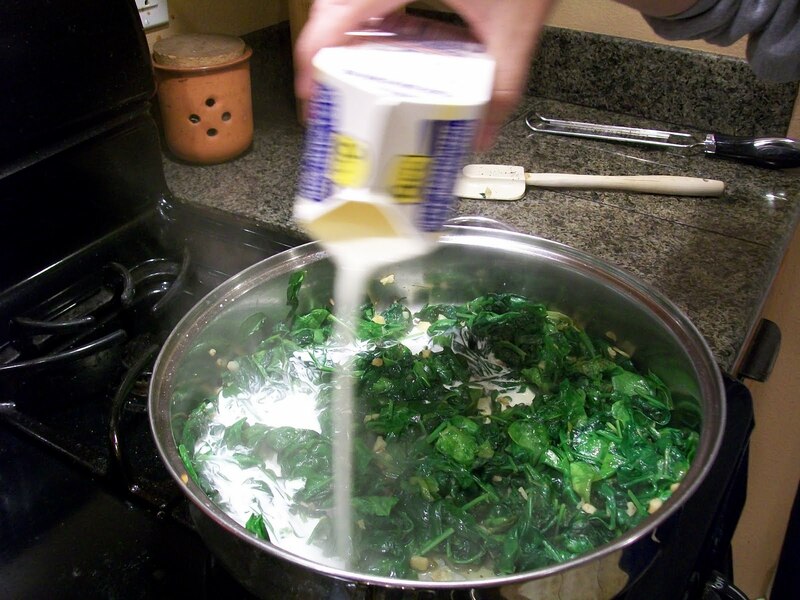 In a medium bowl, stir together the mayonnaise, pesto, and lemon juice. Add the shrimp corn mixture, bell pepper and scallions, toss. Season with salt and pepper. Serve in the hot dog buns. Hello my foodie friends and family. Today is a special day for me. I have a guest blogger! YAY, I know it is very exciting. What makes it even MORE exciting is, that guest blogger is my daughter!! I hope you love her as much as I do!! So with that being said………. This recipe was one I was really looking forward to trying. I was a little nervous because I have never made a pie before (except the ones with graham cracker crusts). But I love the idea of it and the picture I saw in the magazine was amazing looking. You know, the kind of picture that makes your mouth water and you have a momentary thought of just eating the page. Yes, that was how I felt when I saw this recipe. Originally the recipe called for ground beef instead of turkey, which sounds good, but Seth’s girlfriend was coming over and like I have said in the past, she doesn’t eat anything but chicken or turkey. Also, I have been trying to take the recipes I find and make them healthier so that fit right in with the program. Once I made the decision to use the ground turkey I knew I would have to change the recipe up even more to add some herbs to pump up the flavor. Unfortunately we all know that beef = more flavor than turkey. So I knew there had to be a trade made. I checked out what I had in the fridge. I hate that I didn’t grow my own herbs this year. Now I have to rely on what has been purchased PLUS I want to use them all before they go bad. I hate waste! Last year I had rosemary, thyme, oregano, and chives but they didn’t make it through the winter. I do still have a huge sage bush in the back yard but other than that if I am feeling adventurous I am left to work with whatever I have already purchased for the week. In my search I found thyme and marjoram hhmmmmmm okay we can work with that. I love thyme and have just started using marjoram a bit more than I use to. 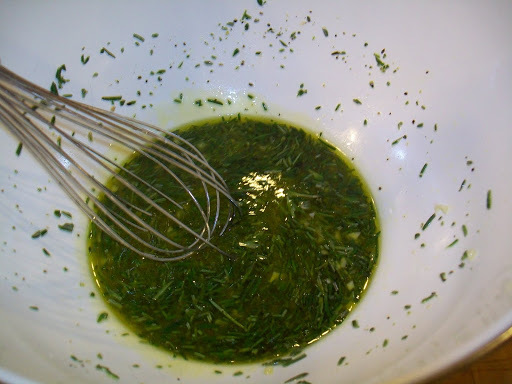 I am also becoming a fan of tarragon. I love the smell and taste of it,it pairs well with many things that I never suspected it would, oops I am getting off track……ADD and all that. Back to the pie….aahhh yes the pie…. Well I can happily tell you that this looks like it takes a lot of work but it is super easy and VERY yummy. Stephanie (Seth’s girlfriend) commented on my Facebook page that it was so good she “was shoveling”. Now if that isn’t proof that this recipe turned out wonderful I don’t know what is. In a skillet, brown the ground turkey over medium-high heat. When turkey is almost completely cooked, add the garlic, onions, carrots, celery, and potato. Cook for about 10 minutes. Lower he heat to medium, add the beer and cook for 10 minutes more. Add the cheese, herbs, salt, and pepper to taste. Remove from heat and let cool. On a floured surface, roll 1 puff pastry sheet into a 12-inch round. 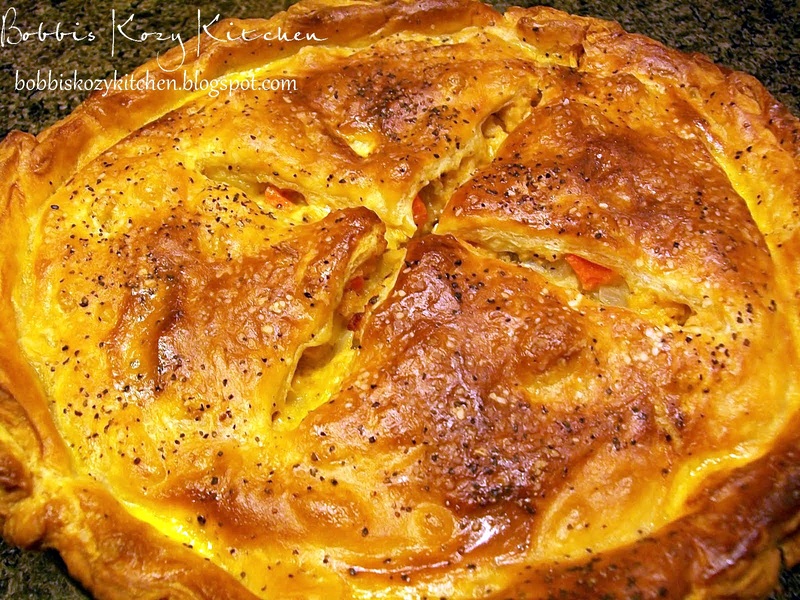 Place in a 10-inch skillet or deep pie dish. Roll the remaining puff pastry sheet into an 11-inch round. Using a slotted spoon, transfer the meat mixture into the pie shell. Lightly brush the edge of the of the crust with some of the egg wash, then place the second sheet on top. Press the edges to seal, then trim to a 1/2 edge. Crimp with your fingers. Place the pie on a baking sheet. Brush the top with more of the egg wash and cut an “X” into the pastry. Sprinkle with salt and pepper. Bake for 45 minutes, tenting with foil if the crust begins to darken too quickly. Tranfer to a rack to cool for 15 minutes before serving. 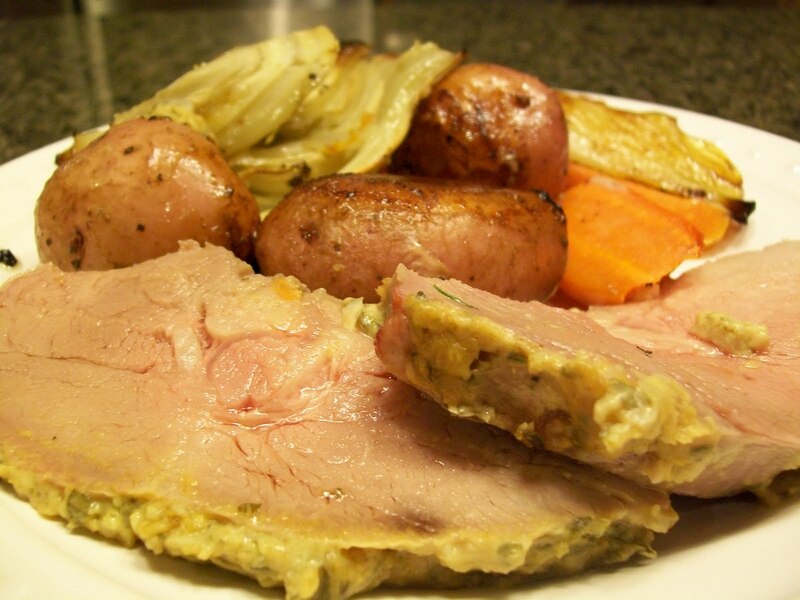 Today’s recipe is from Ina Garten. I have to admit, I am not usually a huge Ina Garten fan. Not because I don’t like her but because she makes things that are more expensive and labor intensive. I am not afraid to say that I like things simple, cheap, and easy. 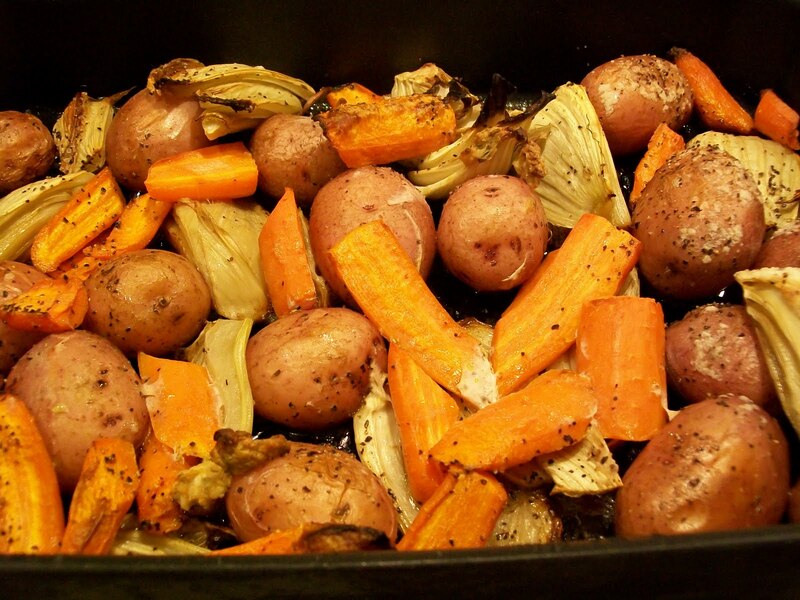 But this roast looked so yummy and I love roasted veggies, so she won over my vote for this Food Star Friday’s recipe post. Of course I can’t leave a recipe alone and after I printed it off and was organizing my ingredients I realized I had thyme as well as rosemary, a combination I love, so out came the thyme to jump into the tub with all the other ingredients. I also added more rosemary and garlic, boy do I love my garlic. It is a good thing that Kevin loves garlic too otherwise I would never get any kisses! Coming from southern California, San Diego to be exact. I have a love for Mexican food like no other! Now that I am living in the Pacific Northwest I have my days when I just downright miss it sooo much!! I have tried and tried to find comparable food up here to no avail. It is really quite depressing. You know when you are just craving something so much that nothing else tastes good. Ya well, I get that quite often. When I get that way I fight it a lot because we all know Mexican food can be quite calorie packed. But I do break down once and a while and make some shredded beef or chicken rolled taco’s or carne asada. It is just hard to stay away from the cheese and sour cream when I do that. But I tell myself all things in moderation and where I used to eat like that several days a week, once in a few months is excusable right? Kevin doesn’t share my enthusiasm for this love of mine. Having grown up here his whole life it was not something he had very often, and when he did it wasn’t very good. I have tried to convert him to the Temple of Burrito but he still remains a non-believer. So when my cravings kick in I will usually make this little tasty treat to give me a small taste of home. As you can see the ingredient list is small but flavor packed. I love it when you can buy the vine ripened tomatoes! In California you can get the nice big buttery avocados year round too. 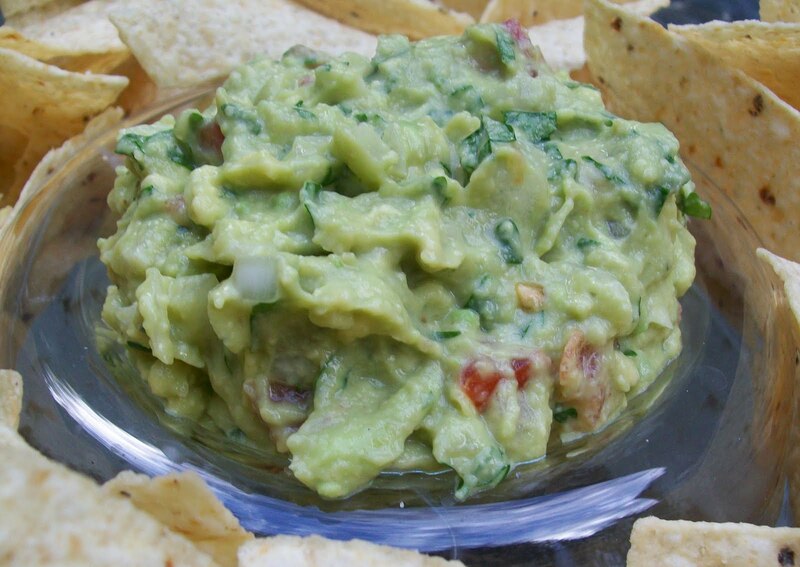 I don’t know, just something about a big bowl of this creamy guacamole and some nice crispy chips makes me a happy happy girl! Pit and peel the avocado and place in a medium bowl. 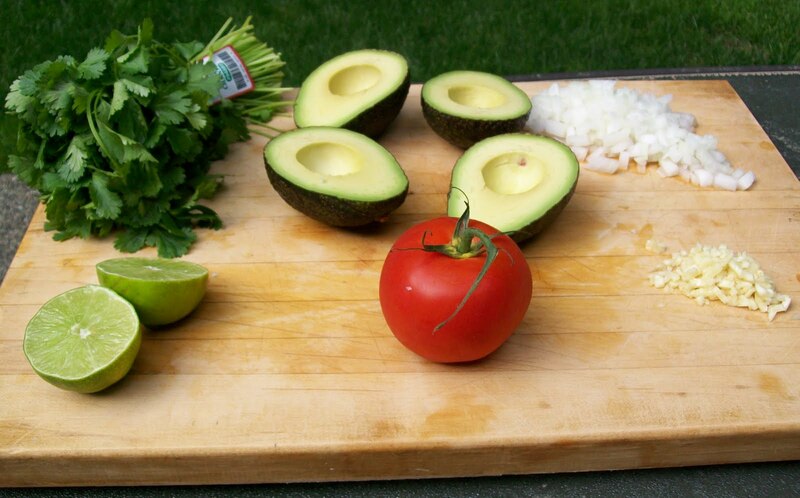 Use a potato masher to mash the avocado (You can use the back of a fork too). Add the onion, tomato, garlic, lime juice, and cilantro. Add salt to taste. Serve immediately. The title of this post should be IT’S GETTING HOT IN HERE!! WOW, I can tell you honestly right now that Rachael was not lying when she named this recipe Fiery Hot! From the meat to the sauteed peppers and the chipotle smashed potatoes, there was no room for anymore heat. But it was sooooo good! 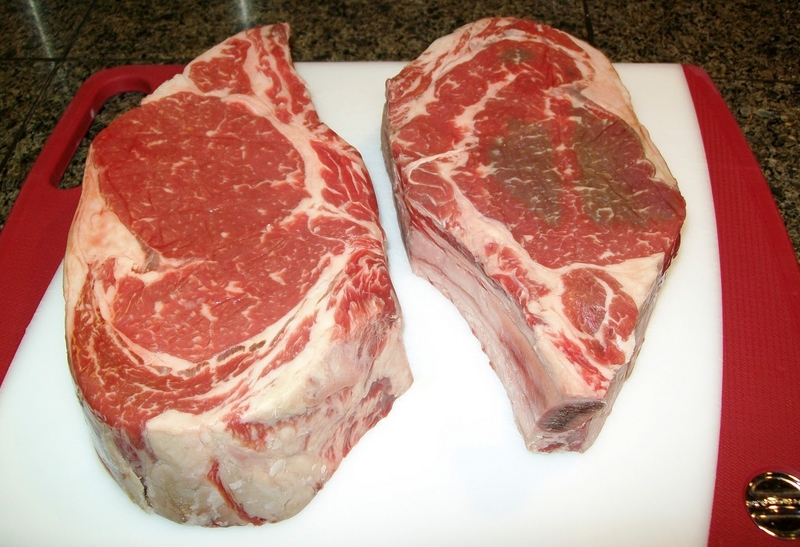 Let me take you on a little journey….Ok I have mentioned that Kevin’s favorite cut of beef is the ribeye and he dislikes any other steak (something I will have to work on), so even though this recipe calls for T-Bones I made fiery hot ribeyes. I know, I know, I shouldn’t switch the recipes up but I didn’t think this was too much, and the finished product was worth the twist. So with that said, I started out on my little quest to find the most AWESOME ribeye steaks I could find in my tiny little town and BINGO I hit the jackpot! Are these babies gorgeous or what?!?!? I was so excited to find them that my nerves about cooking them didn’t kick in until I was unwrapping them on the prep board. All of a sudden I looked at them and my mind yelled, “WHAT WERE YOU THINKING?” I hate it when I yell at myself! Bur seriously folks, I have NEVER cooked a piece of meat, aside from a roast, that thick so I was just a tad nervous. 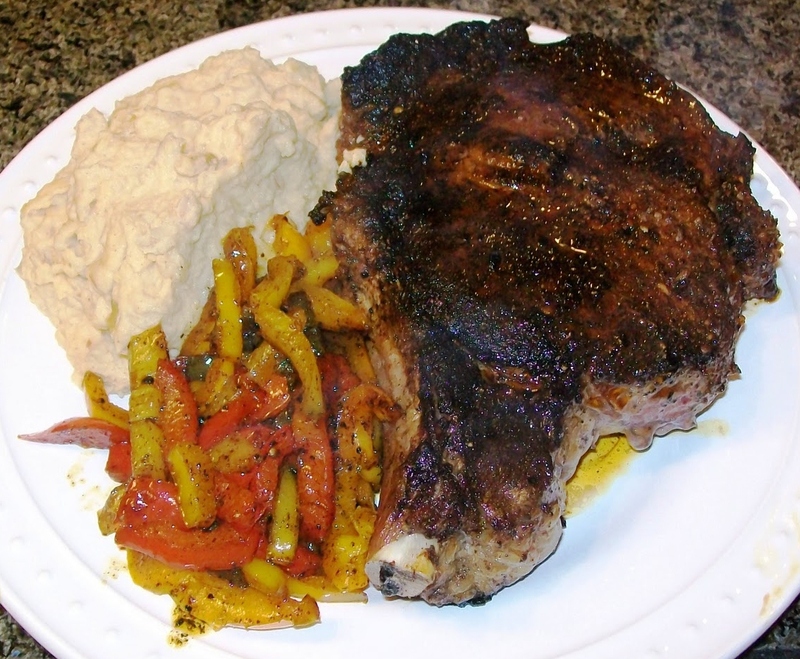 Rachaels’ recipe calls for 1 1/2-inch thick steaks not almost 3-inch ones! But once I took a step back I realized that I could draw upon my memories of endless hours of food/cooking shows and I was able to calm myself a bit. With my new found confidence, I started the rub. Since the steaks were bigger than the recipe called for, I decided I would make more of the rub, and it was a good call. I did have extra, but I would rather have too much than not enough. I doubled the recipe but looking back I could have just added 50% more. I let the steaks rest with their nice warm coating and got the potatoes chopped and in the water. I knew I had to adjust the time a little to allow for the extra cooking time for the steaks, so I opted to get all of my prep done at once instead of doing things on the fly like Rachael does. So the potatoes are in the pot covered in water and my veggies are prepped. See I even have my handy garbage bowl working. 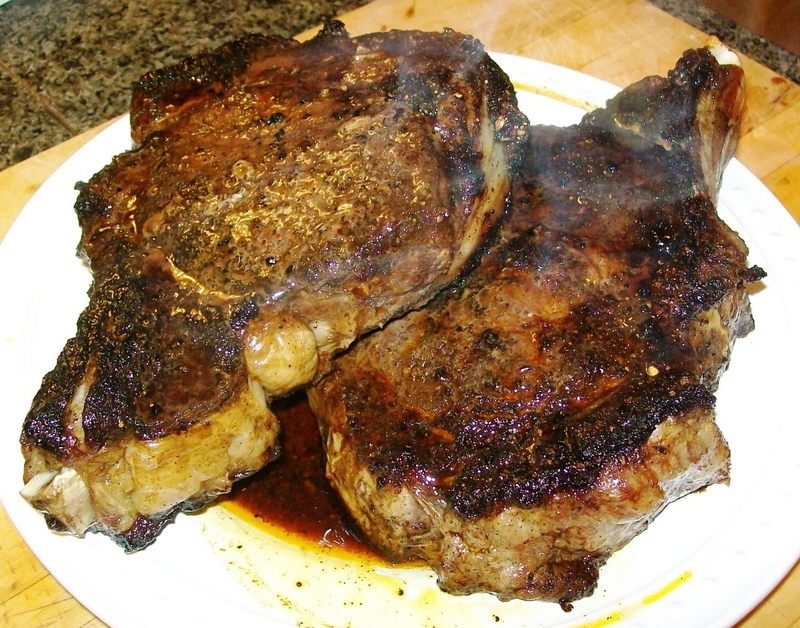 I decided to try the whole “restaurant style” of cooking these steaks, so I got a cast iron pan screamin’ hot with a bit of oil, and once it started to smoke I put my steaks on. Thank goodness I only bought two because they took up the whole pan! ……and the smell in my kitchen was AMAZING!! Although my smoke detector was less than happy about the situation and let me know over and over again….LOUDLY, I could barely contain my excitement. No one was home so I was sad that I didn’t have anyone to share this with. It was almost like Christmas. I know I am weird, but hey, food does it for me! I let them sear on the other side for the same amount of time and then popped them into an oven that I had preheated to 350. As soon as I got them in I dropped the temp to 300 and left them in there for 15 minutes. Now I started the potatoes and went with the recipe from there. I rendered the bacon and added the onions and chipotle powder and MAN as soon as that all started working together the smell was just, well just awesome. Kevin was home now and the first thing he said was, “Where is the bacon going?” and when I told him it was going into the smashed potatoes he got a big smile on his face. I will say, it may have been the chipotle powder that I got, but I think a full tablespoon of it in the smashed potatoes was borderline too much. Although it was the kind of heat that takes you to the edge without pushing you over, it might be just too much for some people. Now I pulled the steaks out of the oven and got them on the plate to rest while I did the veg. Everyone’s, and I mean EVERYONE’S jaws dropped when they saw the steaks come out. I just prayed they were as good as they looked. I think these could make a carnivore out of just about anybody! After I gather myself back together from my foodgasm, I sauteed the peppers, and I did them a bit longer the 5 minutes it called for. I used a lid to sweat them a bit and let them get some nice color on them. Now Jessi wanted me to make sure and tell everyone that she, the girl that doesn’t like anything spicy, could not stop eating the steak. I am serious, it was a jaw dropper to me guys. She doesn’t like too much black pepper on things! But this girl was eating bite after bite. I made a plate for Kevin and he beelined it out of the kitchen, while the rest of us attacked the other steak like a bunch of rabid hyenas! I am amazed we all came out with it with 10 fingers! So I guess in conclusion I will say, if you don’t like it hot cut the chipotle powder in half and try it. If you like a thicker steak, my method made a perfect medium rare one. But I will say, as well as the rest of my gang, TRY THIS ONE!! Until tomorrow, keep your taste buds happy!! Seed and slice the hot and sweet peppers and reserve. Cover potatoes with water and bring to a boil. Add salt to the boiling water. Cook potatoes until tender, 10-12 minutes. 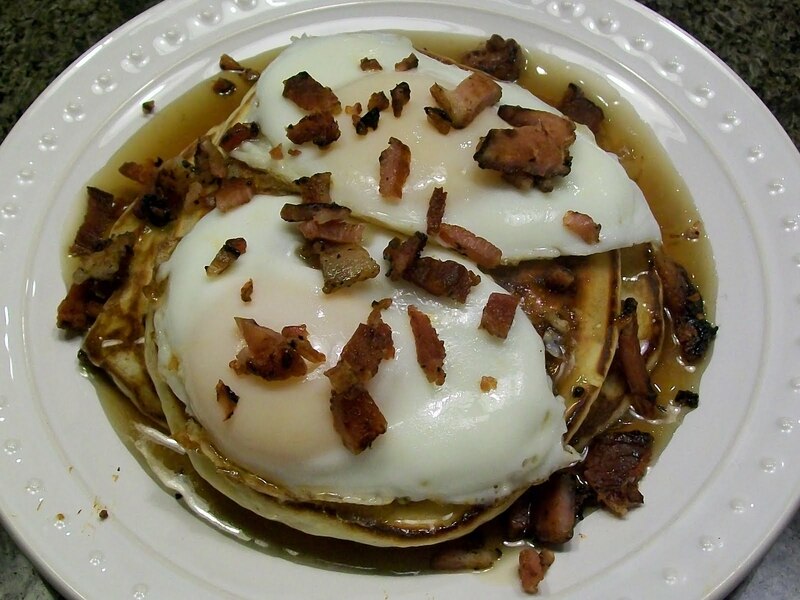 Chop and brown bacon in a small skillet. Then add a tablespoon of chipotle powder and the onions. Cook 5 minutes over medium heat until the onions are tender. When potatoes are tender, drain and return to the hot pan. Add bacon mixture and sour cream to the potatoes. Smash potatoes and season with salt to taste. While potatoes are working, combine dry spice rub: chili powder, remaining chipotle powder, cumin and grill seasoning. 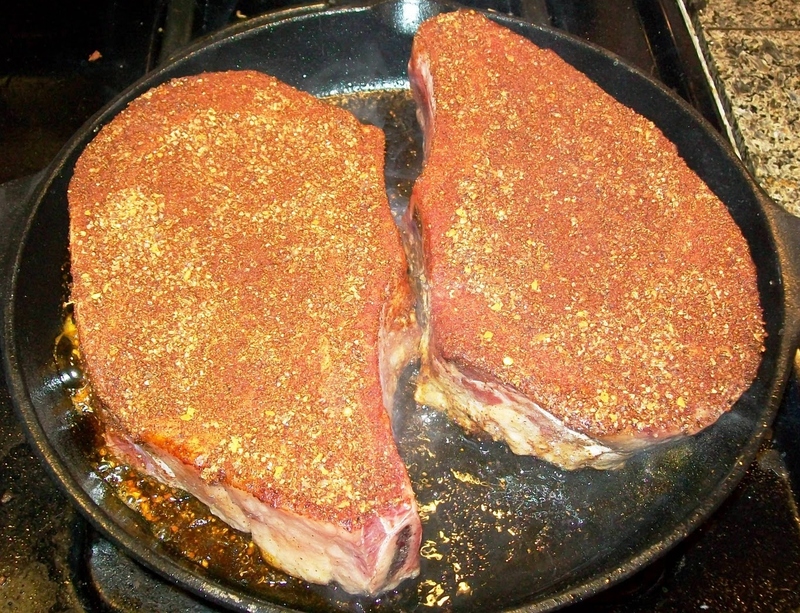 Rub steaks liberally on both sides with the mixture. Heat a 12 to 14-inch skillet screaming hot. Add 2 tablespoons of the vegetable oil, 2 tuns of the pan. It will smoke. Add steaks and do not turn for 6 minutes. Flip and cook another 6 minutes for medium rare, up to 10 minutes for well done. Remove skillet from the flame and add bourbon. 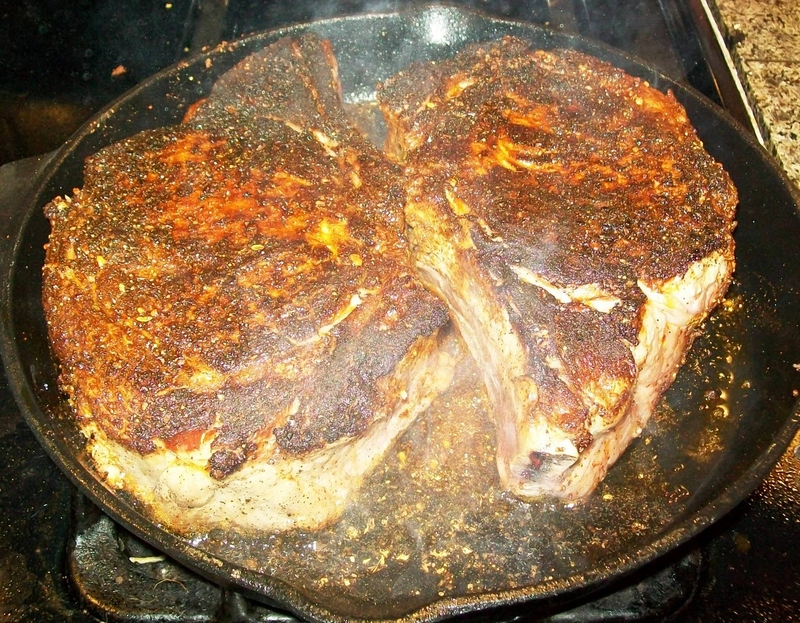 Return steaks to stove and flame the pan. When the fire goes out, transfer the meat to a large serving platter and pout pan juices over the top. Let meat rest for juices to redistribute. 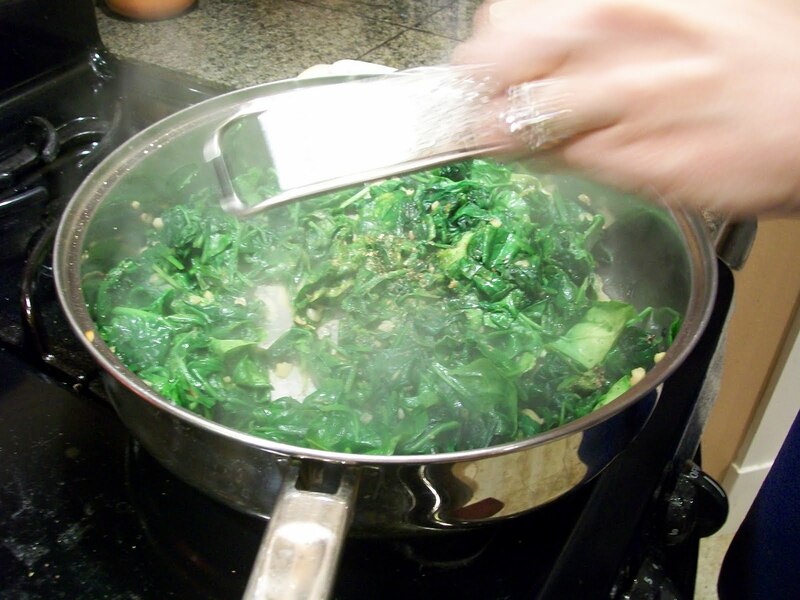 Return pan to heat and add the remaining tablespoon of vegetable oil. 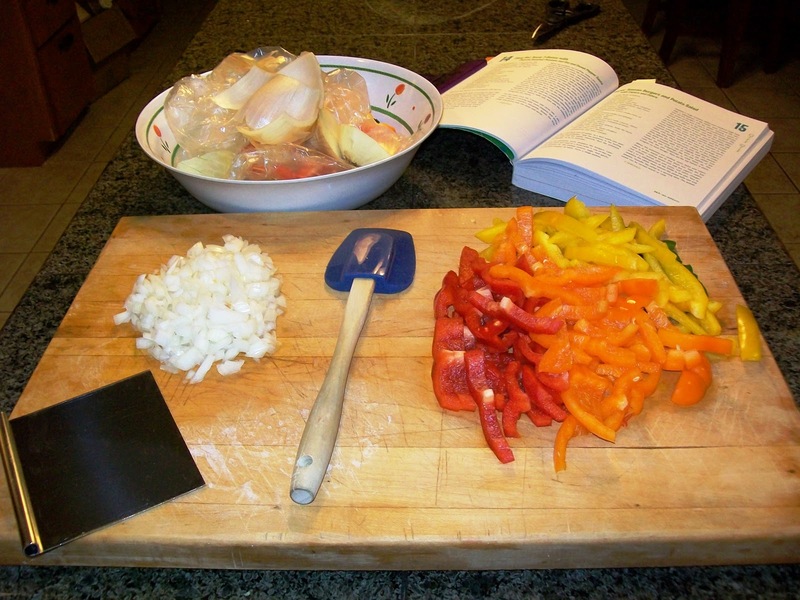 Add the hot and sweet peppers to the pan and saute them for 5 minutes. Season with salt and pile peppers along side the steaks. 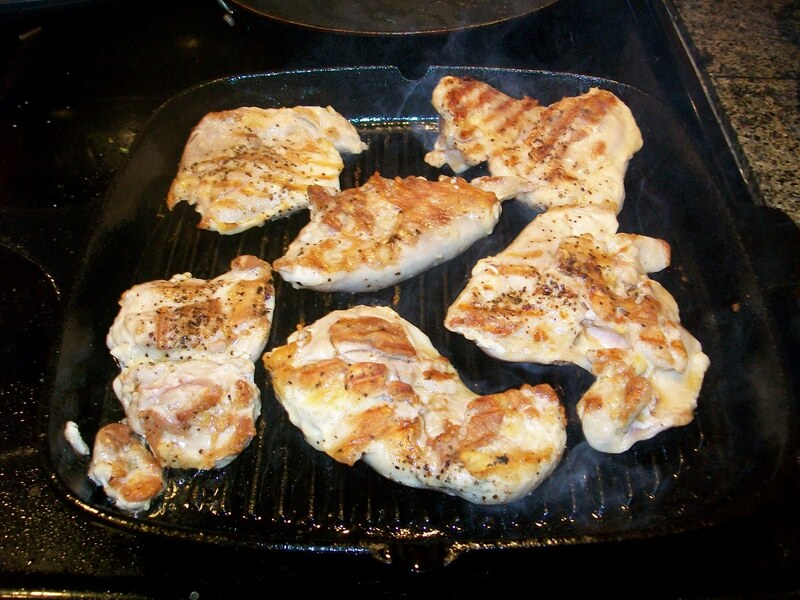 Remove meat from T-Bones and cut into 4 portions. Top with some peppers and pile some chipotle smashed potatoes along side. Spoon dripping juices over meat and serve. **side note- this WILL I mean I GUARANTEE it will cause a lot of smoke. Open windos and turn off the smoke detector if you can!! One of my favorite things to cook is whole roasted chicken. I know some people will think that is crazy. 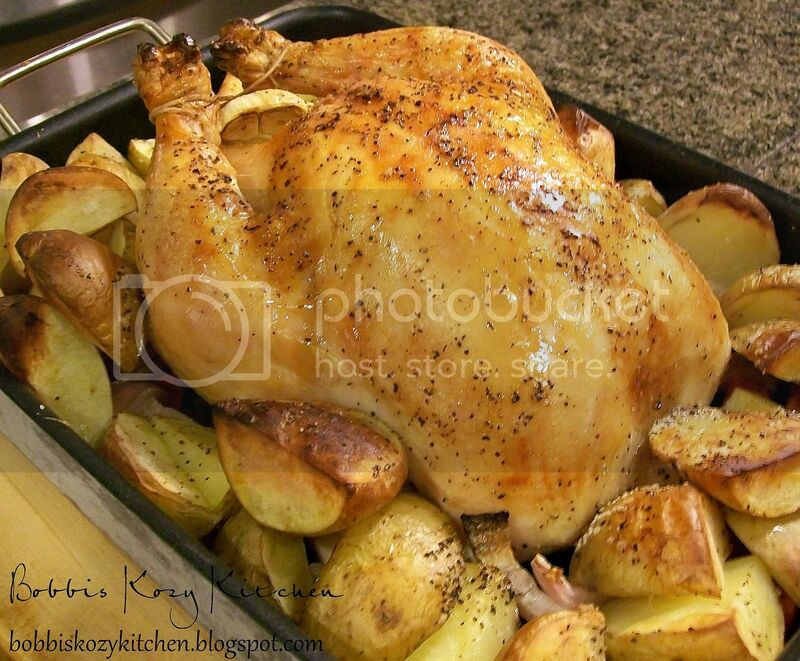 A lot of people have a hard time roasting a chicken without drying it out or under cooking it. I don’t know if I was lucky enough to get the chicken cooking gene or what, I am not going to question it I just go with it. Luckily Kevin has the steak cooking gene or we would be in trouble! When I roast a chicken I usually go pretty simple. I pat it dry, salt and pepper it and rub it down with poultry seasoning, pop it in the oven, baste it with some chicken stock from time to time and WALA roasted chicken. Lately I have been branching out and experimenting with other flavors. Stuffing the cavity with herbs or (if I am feeling especially unhealthy) making an herb butter and spreading it under the skin of the chicken. Good but ooooooh so fattening so it isn’t on the menu but maybe once a year here. I see so many recipes using lemon with chicken and none of them really teeter my totter. I am not a big lemon fan. I have had lemon chicken that made me pucker up and look like a fish. So I wasn’t exactly hurrying to try citrus. But then I read a few recipes and decided, especially after doing the Beer in the Rear Chicken and realizing that citrus infused is much better than poured all over the top. So I started thinking of the things I thought would go well together and compliment the chicken. 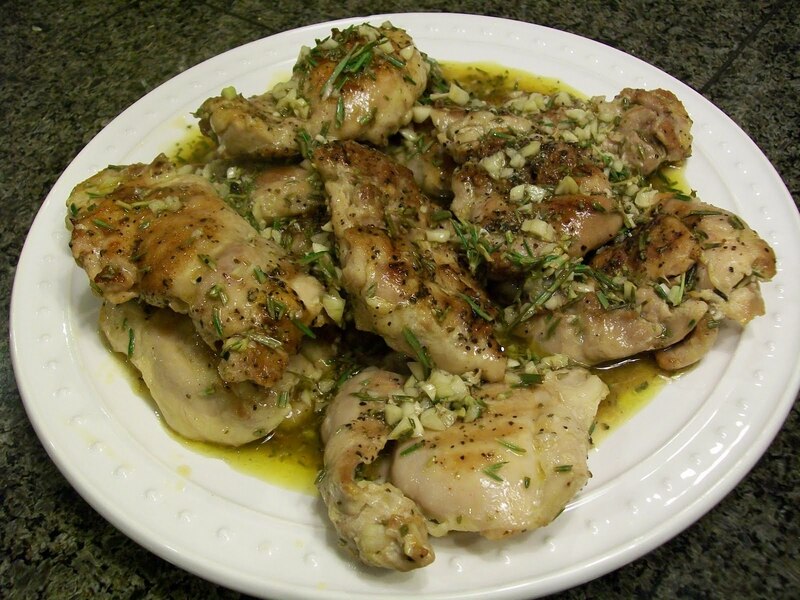 Starting with lemon, I knew I wanted garlic, and thyme, maybe a little rosemary too. So off to the store I go to buy my goodies and give this idea a shot. I know it really isn’t that big of a deal. I mean roasting a chicken isn’t rocket science or anything. But I was excited to give my idea a try. I grabbed everything I needed and hurried home ready to get this meal rockin’ and rollin’. Got my chicken patted dry and warming up on the counter with some salt and pepper sprinkled on it and gathered everything else together. Cooking really does make me happy, I guess it is my “drug” of choice. I really love working with Kevin in the kitchen. But sometimes I like to have dinner cooking in the oven when he gets home from work. I love the look on his face when he walks into a kitchen filled with all sorts of yummy smells. Of course it doesn’t hurt that he is so quick to tell me how wonderful everything smells. He is smart like that. I will tell you that this recipe came out wonderful. Seth’s girlfriend Stephanie doesn’t like to eat chicken off of the bone. So Kevin carved her some breast meat and gave it to her so she didn’t even have to see that it “used” to be on a bone. She loved it and everyone loved the roasted carrots and potatoes that cooked with the chicken. Another hit YESSSSSSSS!! Dry the chicken inside and out and sprinkle with salt and pepper. Stuff the cavity with the garlic, lemon, and herbs. Tuck the wings under the chicken’s body and tie the legs together with kitchen twine. Place the chicken in a roasting pan just big enough to hold the bird with the veggies. Scatter the carrots, onions, and potatoes around the chicken. 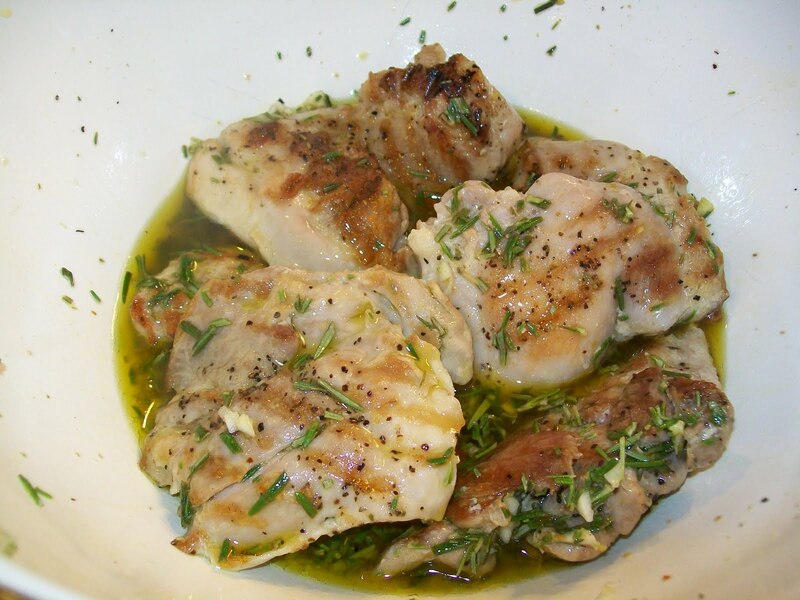 Pour the melted butter over the chicken and veggies and sprinkle with salt and pepper. Cook chicken for 1 1/2 hours, or until the juices run clear when you cut between the leg and thigh. Remove from the oven, transfer to a platter, and enjoy! I have been wanting to do Beef Wellington for quite some time now, but have been a bit nervous about trying. Maybe it is all of the times that I have listened to Chef Ramsey scream at chefs for cooking them incorrectly. I guess I am afraid he will pop out of my pantry and tell me to GET OUT! So when I saw Claire Robinson make a version of them on her 5 Ingredient Fix I thought to myself If it can be done with 5 ingredients I have got to be able to do it. Plus they just looked so cute and tasty. I printed out the recipe and started thinking in my mind of the things I would like to add to those 5 ingredients to add some extra flavor and make it my own. I was worried that Kevin was going to think I was crazy (well crazier than usual) when I announced that I was making an “appetizer dinner”, but when he heard that I was making the Mini Wellingtons he was right on board with me. Like I have said, he LOVES red meat. This recipe is a bit pricey since I used beef tenderloin but I wanted to have the right texture for the meat. It was amazing! You could just take a bite and the meat melted in your mouth. I even ate one cold for breakfast the next day. It is definitely a dish I will be making again. Plus now I have the courage to try the real deal. Chef Ramsey…..LOOK OUT!! Add the mushrooms to the pan and cook until they begin to brown and release liquid, about 5 minutes. Add the shallots and continue cooking until mushroom mixture dries out, is golden brown, and the shallots are soft, about 10 minutes.Remove from heat and cool. On a work surface, roll 1 sheet of puff pastry to a 10 by 14-inch rectangle. Put a small pile of chopped spinach on the pastry, evenly spacing the piles in 4 rows of three. Add crumbled feta cheese to each pile and a teaspoon sized mounds of the mushroom mixture . Top the mushroom mixture with a piece of beef. With a sharp knife, cut the pastry into even squares around each mound. 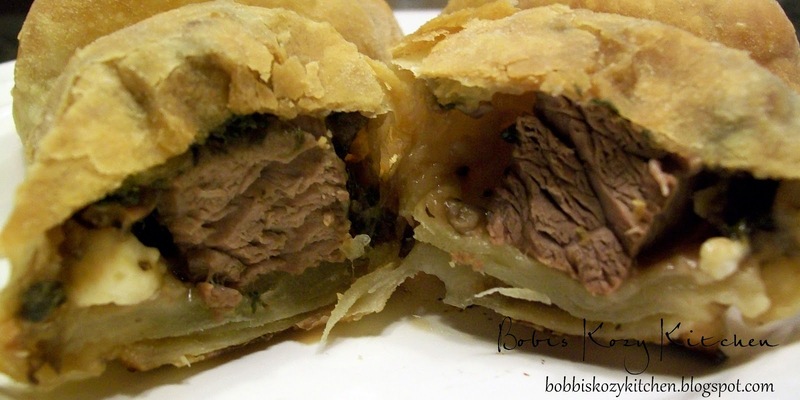 Working 1 at a time, pull 2 opposite sides of the pastry up and over each beef piece, then fold the ends over the top to make a packet. 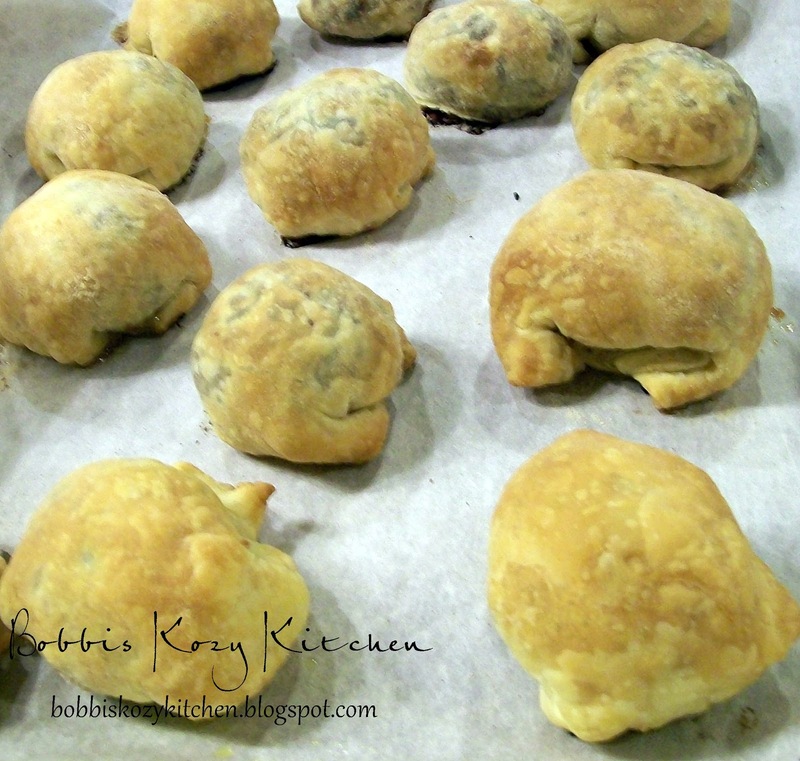 Invert and arrange the packets seam side down on the baking sheet and press them slightly to seal the pastry. Repeat. Bake the Wellingtons until golden brown, 20 to 25 minutes. Remove from the oven to a serving platter and let cool at least 10 minutes before serving.